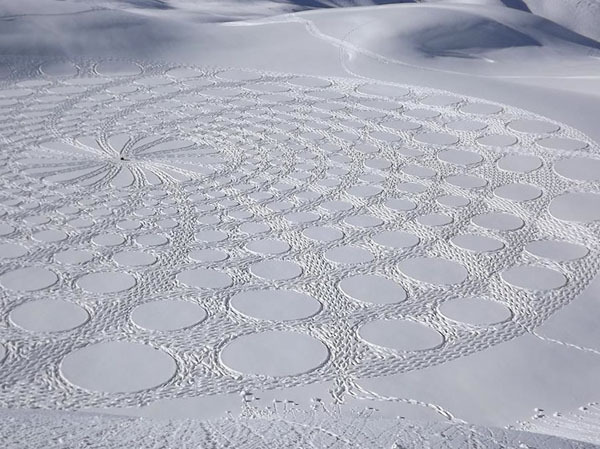 Artist Simon Beck must really love the cold weather! 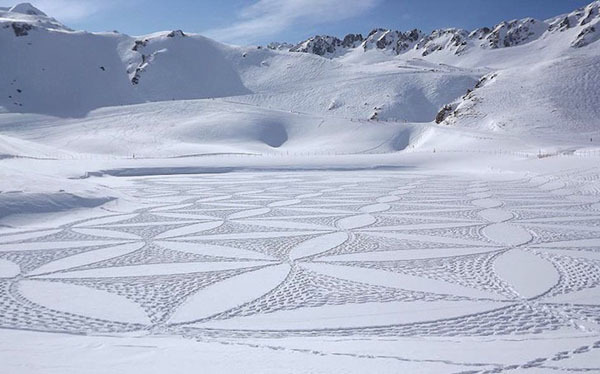 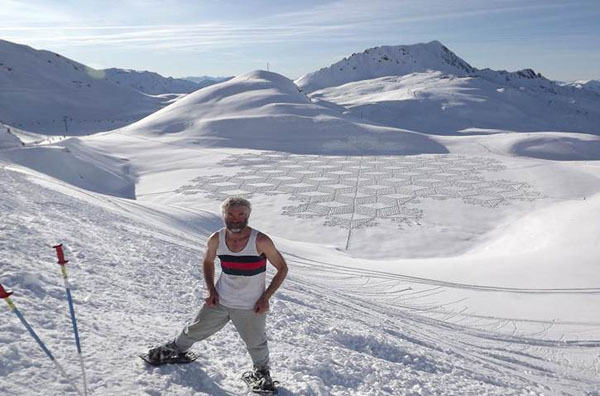 Along the frozen lakes of Savoie, France, he spends days plodding through the snow in raquettes (snowshoes), creating these sensational patterns of snow art. 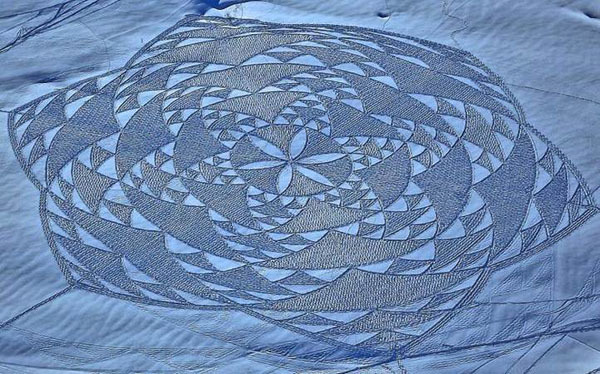 Working for 5-9 hours a day, each final piece is typically the size of three soccer fields! 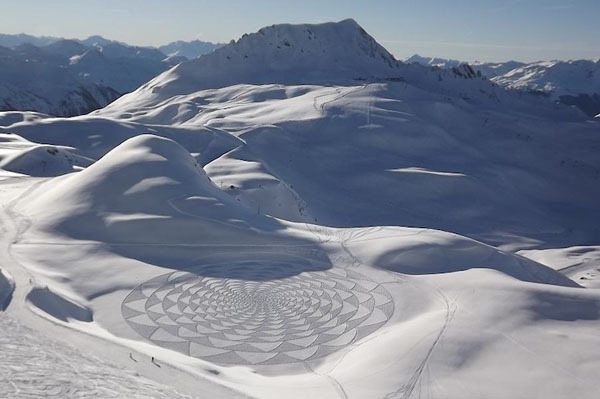 The geometric forms range in mathematical patterns and shapes that create stunning, sometimes 3D, designs when viewed from higher levels. 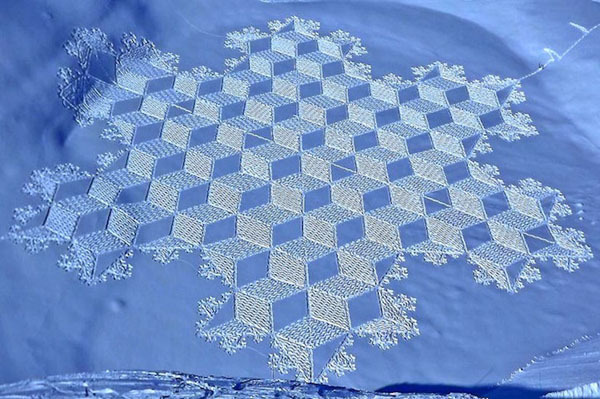 How long these magnificent geometric forms survive is completely dependent on the weather. 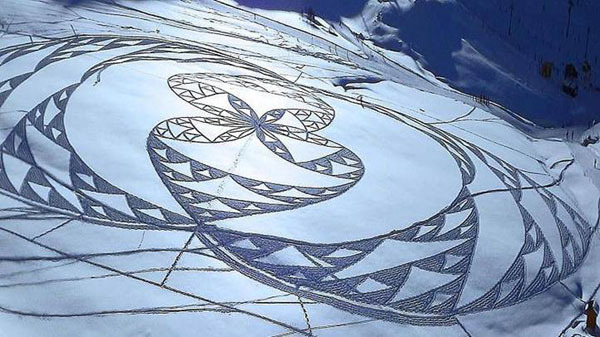 Beck designs and redesigns the patterns as new snow falls, sometimes unable to finish a piece due to significant overnight accumulations.